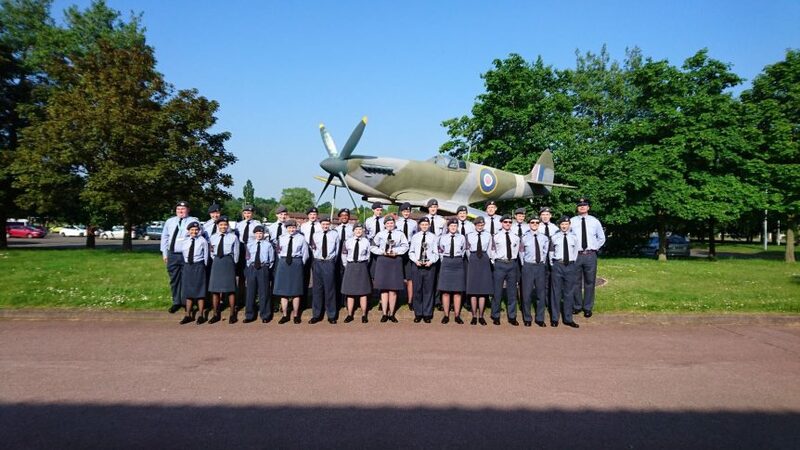 Wing Field Day is an annual event where all 29 squadrons in West Mercian Wing come together to compete against each other in a variety of competitions, such as drill, aircraft recognition and first aid. The squadron came away winning ‘Smartest Squadron’ (we last won this in 1992) and myself winning ‘Smartest Cadet’ (we have never won this before). Below: Cadet T. Gent after being named the ‘Smartest Cadet’ in West Mercian Wing. Drill: 2nd out of 18 squadrons who entered. Banner Drill: 6th out of 15 squadrons who entered. Continuity Drill: 3rd out of 6 squadrons who entered. Smartest Squadron:1st out of 19 squadrons who entered. Smartest Cadet: 1st out of 24 squadrons who entered. First Aid: 9th out of 20 squadrons who entered. Modelling (Buccaneer aircraft model): 4th.